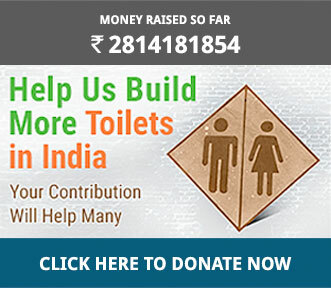 To mark the World Toilet Day on November 19, the Ministry of Drinking Water and Sanitation (MoDW&S) is running a 'Swachh Bharat World Toilet Day Contest 2018'. The contest aims to re-emphasise the need for sanitation to become a people's movement with a special focus on sustaining ODF (Open Defecation Free) status. 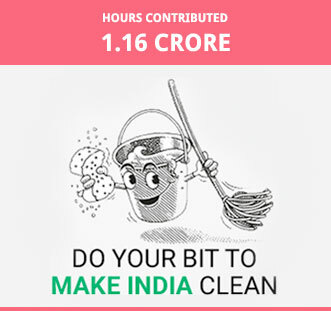 Many districts across India are conducting a series of activities like awareness programmes, awarding the ground-level ?swachhata champions' at public events, waste collection and segregation programmes, and initiating setting up of biogas units and hoping to win the contest. These activities are being conducted from November 9 to the World Toilet Day which is on November 19. The top 10 District Collectors, along with the top three State Mission Directors/State Secretaries in-charge of sanitation will be recognised and awarded by the MoDW&S. 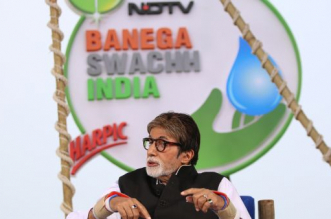 The winners will also get a chance to interact and share their ODF journey and future strategies with Swachh Bharat brand ambassador, and actor Akshay Kumar, informed the MoDW&S. Here's a glimpse of the activities being conducted in some of the districts in various parts of India. 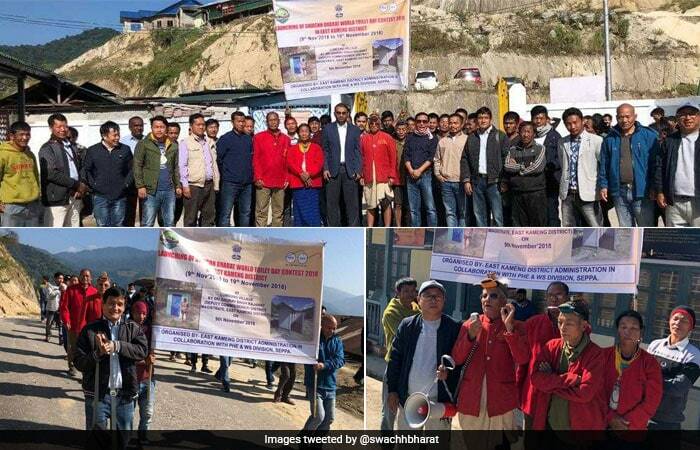 In Lumdung, East Kameng, Arunachal Pradesh, the village head initiated the activities for World Toilet Day contest by organising awareness activities on the importance of using toilets and keeping toilets clean. 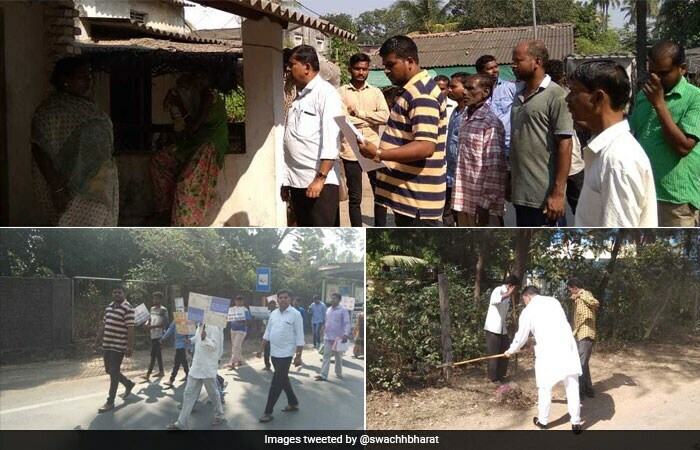 The district administration along with the Public Health Engineering and Water Supply Department is also conducting various cleanliness-related activities like awareness rallies, waste collection, and others. In Daringbadi, Odisha more than 6000 people came together to be a part of awareness activities conducted by the district authorities on sanitation including a speech about the need for safe sanitation, and a skit by school students. Likewise, in Mayurbhanj district, rallies and human chains are being organised across 26 blocks to echo the message of sanitation. 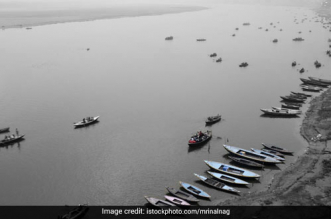 A ten-day long sanitation drive has been launched for rural communities in Bareilly, Uttar Pradesh (UP) to encourage participation from school children and community members. Similar efforts are being taken up in various parts of UP including a series of awareness building activites. 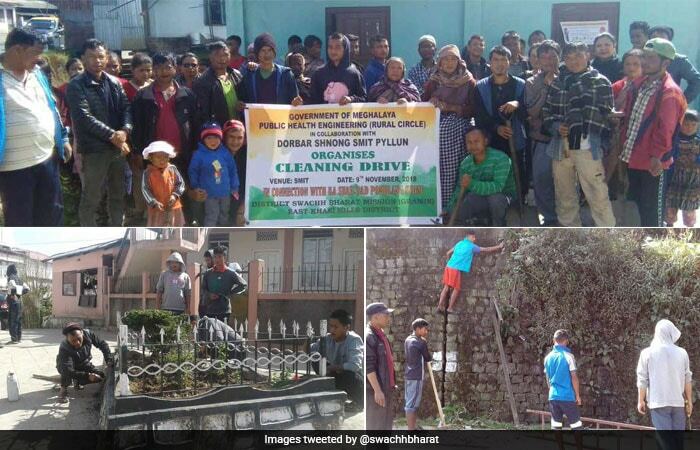 In the East Khasi Hills District of Meghalaya, the local government along with the people conducted cleanliness drive. 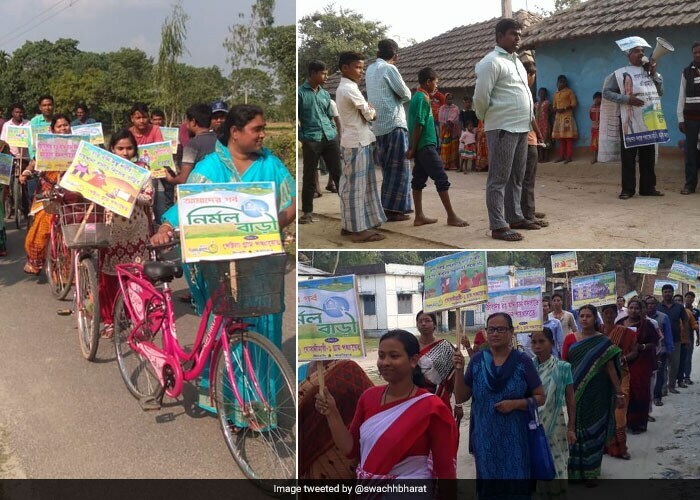 Cooch Behar district of West Bengal saw active participation from women in a cycle rally and 'Gaurav Yatra' to promote safe sanitation for World Toilet Day contest campaign. 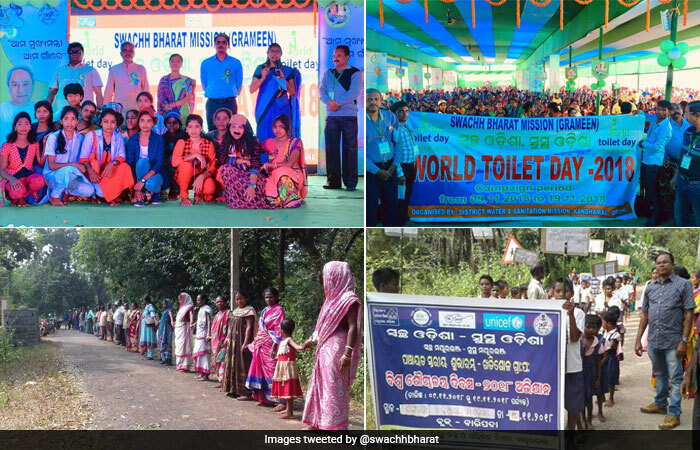 In another district, Murshidabad, a man has started a mission to make his entire block open defecation free through awareness dialogues with people on the message of sustaining Swachh Bharat Mission. 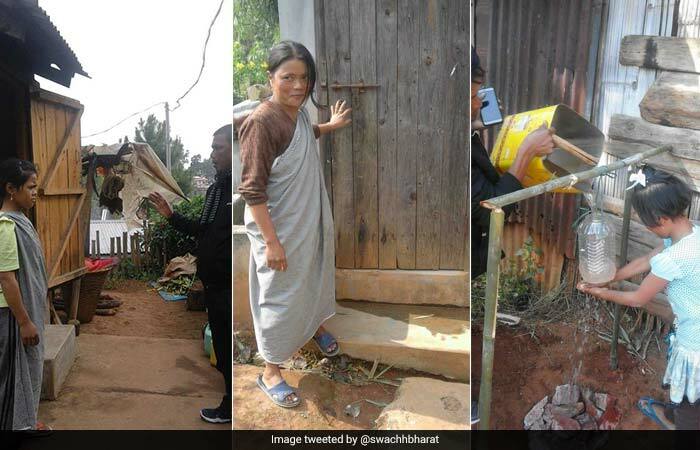 As part of the World Toilet Day campaign, people in Imphal West district of Manipur undertook door to door visits in order to ensure maximum participation towards building a cleaner future for the community. People of Umsaw Mawjynrong village, East Khasi Hills district, Meghalaya, are participating in large number in the various activities going on under the World Toilet Day campaign where the district authorities are encouraging people to sustain the change of behaviour achieved under Swachh Bharat Mission so far and to ensure a cleaner future for the district. 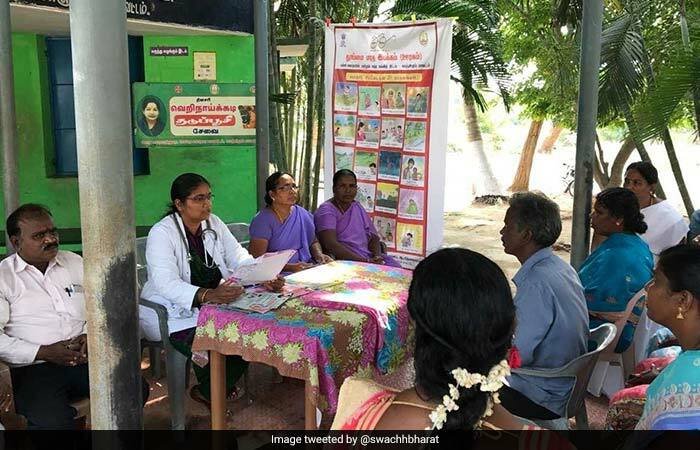 The land of hand-woven silk, Kanchipuram is organising activities to mark the World Toilet Day 2018. The district has been implementing initiatives such as continuous monitoring system and use of sanitation cards to ensure regular use of toilets, among others, to sustain its ODF status. 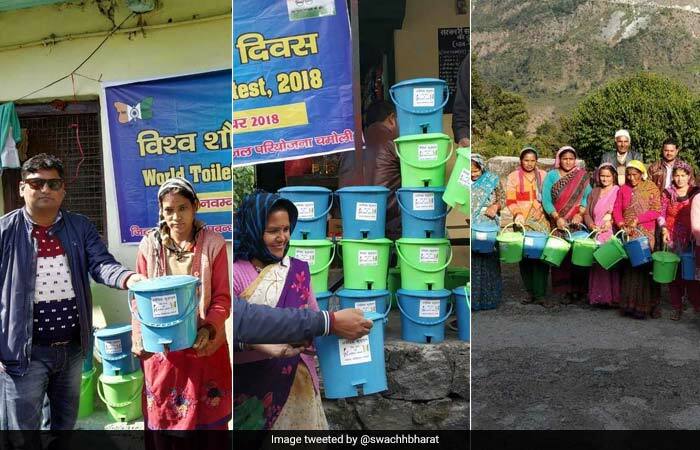 As part of the World Toilet Day campaign, several activities are being undertaken by the people in Chamoli district of Uttarakhand including distribution of dustbins, with an aim to achieve an organised system of Solid-Liquid Waste Management.